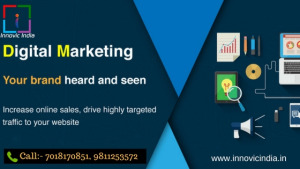 Innovic IT Solutions is The Digital Marketing Company in Delhi. We offer Digital Marketing Services, On-Page and Off-Page SEO Services, Social Media Marketing Services, Pay Per Click (PPC) Services to all our clients to give a sharp boost to their businesses. Our IT Professionals complete the task in quick timing and make your firm and products well known to all internet users.